RedFrame is a virtual reality exploration game currently in production. Participants will meander through a giant mansion at their own pace, piecing together a family's history through puzzle interaction in places once inhabited. 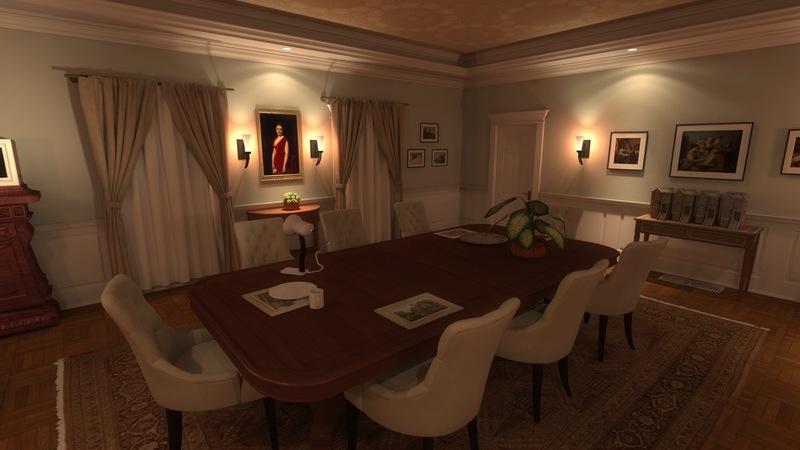 The game is inspired by the aesthetics of architecture and explores the nature of history as seen through the lens of personal spaces and the artifacts that they contain. RedFrame will be released for Mac and Windows with full support for popular virtual reality platforms. Thank you! You'll all set to receive updates about RedFrame.